Details of Ashley ‘Ross’ Bonthorne’s date and place of birth are unknown. Ross Bonthorne graduated from the University of Sydney in 1963 (B.Arch) and gained his Master of Architecture degree at Harvard University in 1967. He was registered with the NSW Board of Architects in 1966 and worked in the NSW Government Architect’s Office. He was Design Architect for the Westmead Hospital Project from 1974 to 1977. Ross Bonthorne was Principal Architect with the Lend Lease Corporation from 1977 to his retirement in 1999 and has led a number of significant town centre revitalisation projects. He has also been a visiting lecturer at the Universities of Sydney and New South Wales and the University of Technology, Sydney. He holds the Royal Australian Institute of Architects Presidents Award for Outstanding Contribution to the Architectural Profession. Bonthorne was Director of the Paddington Town Hall Centre for the Arts 1975-78, Chairman of the Sulman and Merit Award Juries 1978-85, Director of the National Institute of Dramatic Art from 1981 and Director of the Biennale of Sydney Ltd from 1985. In 1986 he was appointed a member of the School of Building Advisory Committee at the Sydney College of Technical and Further Education. Ashley ‘Ross’ Bonthorne was Alderman for Macquarie Ward, 21 September 1974 to 16 September 1977, for Phillip Ward, 20 September 1980 to 13 April 1984, and for Fitzroy Ward, 14 April 1984 to 26 March 1987 when the Council was replaced by Commissioners. 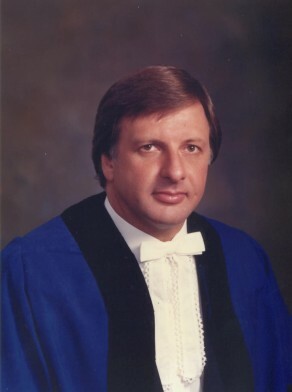 Bonthorne was Chairman of the City Development Committee in 1975–77, a member of the Works Committee, 1974–77, the Planning and Development Committee, 1981, the Finance and Industrial Relations Committee, 1982, the Building and Development (Major) Committee, 1984–85 and the Building and Development (Ordinary) Committee, 1984–85. From 1976 to 1977, he was appointed Council’s Deputy Member of the Traffic Authority of NSW by the Minister for Transport. He represented Civic Reform Liberal. In November 1991, Bonthorne was a specialist Local Government appointee to the Pittwater Provisional Council. When Pittwater Council came into being on May l, 1992, Ross Bonthorne was one of the first elected Councillors.